Despite all the rhetoric, and all the news pieces swirling around after Christchurch, I had not conversed with a member of the Muslim community. I assumed I was doing enough, but a man in hospital slippers exposed my fallacy. As a nation, we’ve suffered through a week of illustrated division. Christchurch was authored by an Australian with anti-Muslim intent, an uncooked egg was the preferred/castigated means of revenge, Scott Morrison and Recep Tayyip Erdoğan dusted off the bayonets to recommence the hostilities of the Gallipoli campaign 102 years after its conclusion and last night, our sitting PM sat down to talk out the issue, but not talk out the issue. Online, much of the Twitterati has clearly taken it upon themselves to be arbiters of sense and logic, there have been many pieces articulating the things we need to change. Michael de Waal wrote about the responsibility of white people in regards to other white people moving forward, journalist Ruby Hamad collated a series of articles by PoC articulating the warning signs long before last Friday, and our Editor pontificated regarding how the media was clearly responsible for the normalisation of extremism. But, that’s the woke online world, the soap of the bubble that I’ve carefully cultivated. 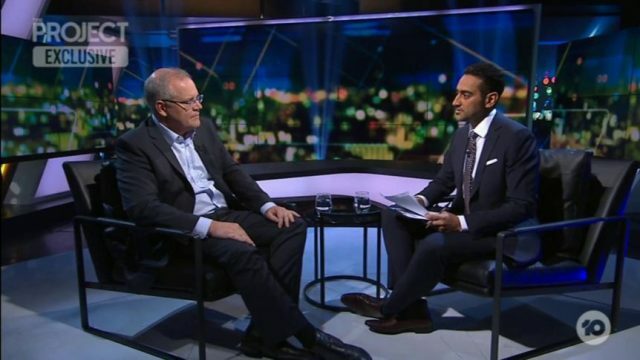 Empathetic head nodding prose is extremely important, but I was particularly concerned about the reality of the week after, chiefly most basic macro example, in how Muslim Australians would converse with we, the Christian Anglo Australians. It’s easy to clap back on social media, but life is an entirely different set of circumstances. Naturally, you’d assume that fear and division overrides the well-meaning retweets and likes of someone in the now. After all, the shooter was from a similar one-horse country hub as I was. Clearly, we shared a tone, if not aesthetic. The Monday after was spent in the hospital with a smile stapled on my face, being as ebullient as possible to the obviously furious and extremely frightened Muslim community, who managed to put on a face of normalcy and go about their business. I’d be warm, I assumed, but not enough to be weird, in hoping that would get my message. Did they want to speak about it? I wasn’t entirely sure, I didn’t want to make waves or worse, re-open still open, ancient wounds. Besides, what could you say? And with that, both parties retreated, leaving me, the bystander a mix of confusion, pride and shame. Clearly it was that easy, clearly the official rhetoric will not divide us. Flash forward to Wednesday evening, and I found myself the sole occupant of an Inner West kebab shop, soundtracked by the booming hang wringing of the evening news. The sparring between Morrison and Erdoğan stopped work as both huddled toward the television, sharing looks and worried tones in mumbled Turkish. Clearly, in the midst of the moment, they had forgot about their only customer, but as they swivelled around, and their eyes met mine, I saw it clearly – their fear. We hung there for a second, not saying anything, not provoking our muscles to make a gesture that could potentially be misread, the only sound came from the television, which was amplifying the musings of one anglo who believed that “the ANZACs mean everything to me, they allowed me to raise me (sic) four kids in this country”. Finally, he spoke. “Dickheads, right?”, he said in a flat conversational tone, firing a dismissive thumb toward the television, his ebullience didn’t reach his eyes. “Yeah”, I said, “it’s nonsense, seems like it’s just a vote grab”. He paused, then offered a hand over the counter, shook mine and said, “we need to keep our heads, otherwise they’ll get us all”. I suppose the lesson here, or at least what I took from it, is that the divisions between us are only as big as we allow them to be. We always fear the unknown and suspect the different, but we’re all fundamentally the same, and we’re all Australians. Despite the insane ramblings and unspeakable actions of a few, they do not represent the majority. With that being said, allowing yourself to coast on the status quo, and not make that connection through safety, or assumption (as I had), then things become difficult, and the landscape looks all the more darker. It’s up to us, we who have the safety, the comfort, and the responsibility to bridge the gap that others of our tone have built.